"What does that guy think he can do with such a small weapon?" 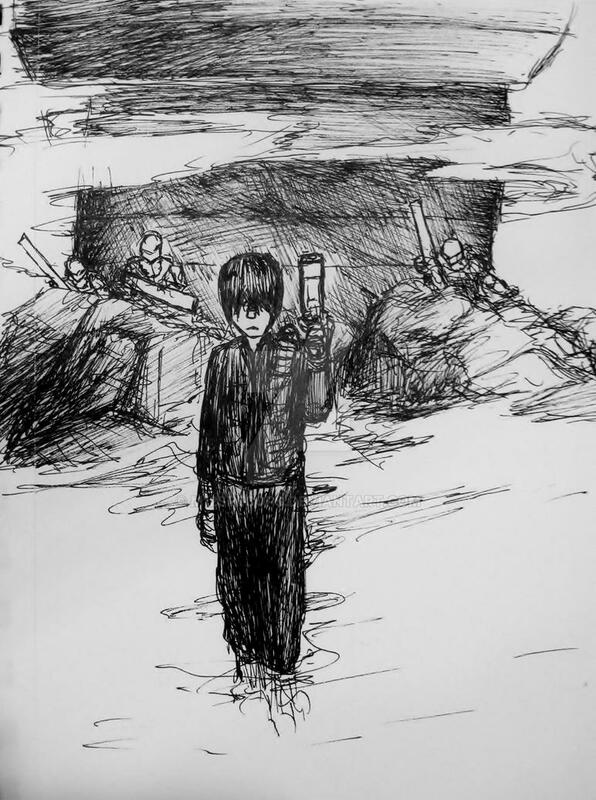 A sort of re-imagining of Killy's defense of Toha Heavy Industries in Tsutomu Nihei's manga, Blame! based on my memories from reading the manga. This is the scene right before the Safeguards attack. I love Nihei's work; it's really atmospheric, features lots of impossibly large buildings, and has nice cyberpunk and noir-ish style. Done with uni-ball Vision Exact pen, scanned with iPhone. I turned off enhancement because it honestly looked worse.